SENECA, OR (June 29, 2018) - With a two-putt par on the par-3 15th hole of the Hankins Course at Silvies Valley Ranch, Darren Kuhn of Pocatello, Idaho closed out his match 4&3 against Jeff Byrnes of Buckley, Wash., to win the 43rd Pacific Northwest Master-40 Amateur Championship. 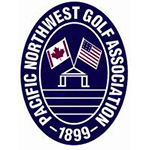 The championship, which was conducted by the Pacific Northwest Golf Association (PNGA), consisted of the top amateur male golfers in the Pacific Northwest over the age of 40. Kuhn has played in eight previous Master-40 championships, and was able to seal the deal this year. He was the medalist in the 2013 championship, and in 2012 he made it all the way to the final match before finishing runner-up. Kuhn did reach one of the par-5s, the downhill 14th. He hit 8-iron for his second shot and put the ball 10 feet from the hole, looking at eagle. He had watched Byrnes put his second shot over the green, from which Byrnes would then have to take an unplayable-lie penalty, eventually conceding the hole to Kuhn. Kuhn sealed the match and the title on the next hole, the par-3 15th. “I hit a 9-iron there, because I knew I did not want to go long and into the back bunker.” His ball ended up just on the front fringe, and when Byrnes put his tee shot into the back bunker leading to a very difficult shot, Kuhn easily two-putted from the fringe and closed out the match when Byrnes couldn’t get up and down. Kuhn had been the No. 22 seed entering the match play portion of the championship, but marched his way through the bracket, eventually defeating Byrnes, who had been the No. 1 seed and co-medalist. To reach the final match this year, Kuhn defeated Steve Rude (Vancouver, Wash.) 6&4 in yesterday’s semifinal match. Rude had been the other co-medalist still remaining in the field. Kuhn intends to play in the PNGA Mid-Amateur later this year, to be held Sept. 5-7 at Crane Creek Country Club in Boise in his home state of Idaho. Kuhn, 51, is a salesman for Oroweat. Byrnes, 43, attended St. Martin’s University in Lacey, Wash., and got his Master’s degree at the University of Washington. He is a school principal in the White River School District, outside of Tacoma, Wash., and his home course is Washington National Golf Club in Auburn, Wash.
18-hole stroke play qualifier, single- elimination match play in flights of 8 (32-player Championship Flight). Must be at least 40 years of age, and a member of a PNGA member club.